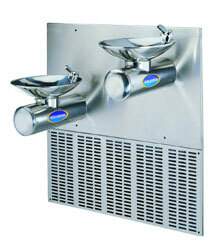 CJ-318 is cooling system for wall mounted type drinking fountain. 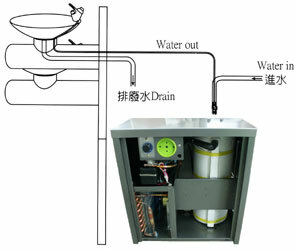 It can be connected with CJ-315, CJ-316, CJ-317 to offer cold water. High effective and quiet working compressor charging with R-134A refrigerant which meet with environment protection. Rectangle design. Dimension (WxDxH): 425 x 305 x 490mm. Cold tank capacity is 2.2L. Cooling power is 200W. Filters are optional (CJ-313: Filters can be built inside.). 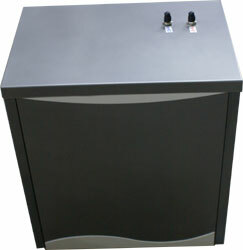 CJ-313-1 comes with compressor and cooling system which offers cold water (cold tank capacity: 2.2L). 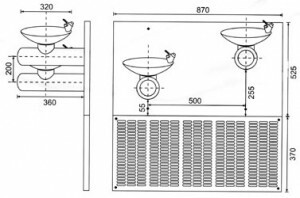 Bubbler Type: Up pressure type: Push button is on the top of bubbler. 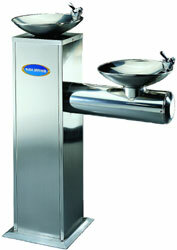 CJ-312: Normal water 1 round basin 1 glass filler stand type drinking fountain. 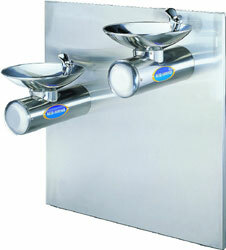 CJ-312-1: Hot & cold water 1 round basin 1 glass filler stand type drinking fountain. Filters are optional (CJ-312: Filters can be built inside, CJ-312-1: Filters can be mounted on the back.). CJ-312-1 comes with heating and cooling system which can offer hot and cold water (hot tank capacity: 4L / cold tank capacity: 2.2L). Factory Installed Bubbler is top-press bubbler. 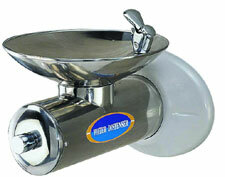 Optional : Front-press bubbler (The push button of the bubbler is facing the front. ).